I need a chocolate fix like I need a bullet in my brain. I have no idea what is happening to me but blogging. Since blogging on this page there is an insurgence of sweets in my house which is adding layers around my middle. I keep promising myself to go on a goat’s diet (vegetarian, the last time I heard of it) but the day evades me like a smart repartee when it’s most needed. I lust over all the red radish, artichoke, broccoli and some other exotic vegetables neatly stacked in the fresh market. However, I came away empty handed blaming the prices. Well, the only solace is that chocolates have antioxidants. I am going to turn a blind eye on the heavy cream and sugar which is meager. Anyways, marketing a health product is not my idea today but to bring to you some pictures of the truffles I whipped up. The best reason for me to show you the truffles today is the birthday girl. Happy Birthday Nami, and may the Lord bless you with many more. I forgive myself for indulging in all the sweets this once because the truffles are in honor of your birthday. 1. Break cacao and place in a heat proof bowl. I used a glass bowl which I knew can take the heat of boiling cream on it. 7. Roll in confectioners sugar or cacao powder and use it and refrigerate the remaining. I found that that the cacao was sticking to the hand and decided to refrigerte the truffles overnight before eating them. that's a lovely gift to offer to Namitha! I wish Namitha a very happy Birthday and lots of happiness for the many more wonderful years to come !!!! Enjoy!!! Absolutely stunning, Sunitha! !Happy b'day Namitha! Waav! truffles look so lovely, just as the wonderful friend you are Sunitha. Happy Birthday Namitha. May you have millions of reasons to smile! Delicious!In my recipe I use a bit of chopped hazelnuts to make them crunchy! Very nice pics! I forgot: Happy birthday Namy!!!! Happy Birthday Namitha! 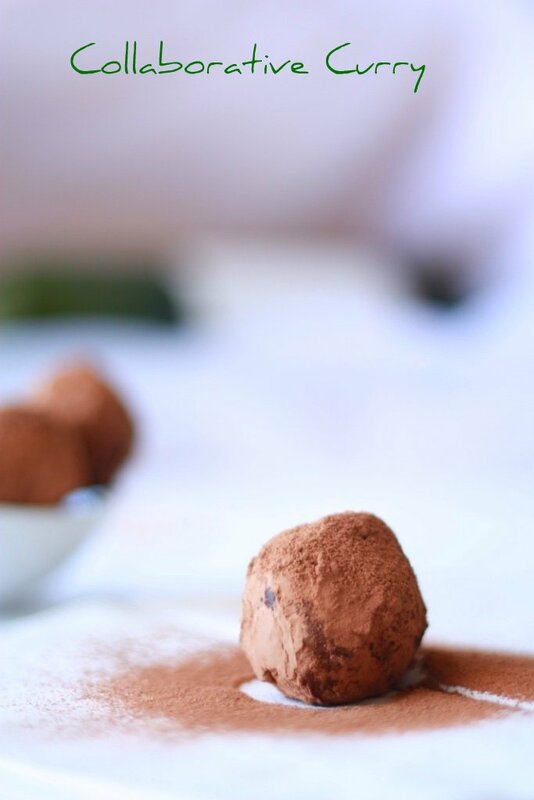 !..enjoy with these beautifully captured truffles. Fabulous pictures and Happy Birthday Namitha! 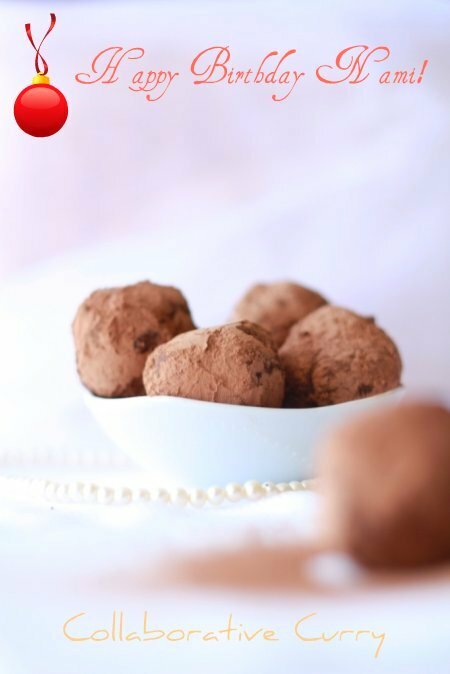 A wonderful way to wish Namitha Truffles look delicious! Happy B'day Namitha. Very nice recipe, Sunitha ! Dear Namitha, Perfect way to celebrate ur Birthday..Many happy returns of the day..
Sunitha, these Chocolate truffles look just so divine...Its ok..a little bit of chocolate can't hurt anyone ..rt..and ofcoure they have anti-oxidants..Beautiful Clicks..LOve that awesome b'day Card. Gorgeous chocolate truffles..WIshing a happy birthday to dear Namitha..have a fantastic day Namitha..
Sunitha, truffles look absolutely amazing!! wonderful pics!! Chocolate truffles looks great and mouthwatering. Happy birthday Namitha. Truffles looks just gorgeous. What a highly appreciate virtual treat! They look amazing! Happy birthday Namitha! Sunihta, I can't blame you for wanting chocolate truffles! They look divine! Hey Namitha, Happy Birthday!!! The truffles look gorgeous!!! The truffles look so tempting and inviting.Happy birthday Namita. truffles are awesome !! and many happy returns of the day, Namitha ! Wow..............the truffles are looking soooooooooooooooooooooooooooooooooooooooooo delicious dear....Happy Birth Day Namitha!!!!! Truffles looks heavenly and SOOO adorable! sunitha u are so good at baking :) n you have made lots of them great.Keep rocking!! Truffles make me very happy. They are one of the few chocolates that are EZ to make and never fail. Lovely bon-bons. Happy New Year! Happy Birthday, Nami... What a way to celebrate! WOOOOO!!! they looks soooo heavenly and divine Sunitha. I can't staring at them :) LOVELY BEAUTIES. stunning pictures and very nice post! Happy B'day, Nami! It looks divine and attractive, Suni! A girl has got to have her chocolate, you know! :) my go-to is to use dark chocolate and convince myself that the truffles are good for my health :D Yours looks delicious and a very nice DOF in the click! Happy Birthday to Namitha, this truffles look so yummy !! hey Belated Happy birthday Namitha..these look so good..wish I had you as my neighbor. ;) would have invited myself for these..
hi belated birthday wishes. jst nw knw abt. Happy belated birthday to Namitha and the truffles are very fitting for the occasion! Oh! What a wonderful post! 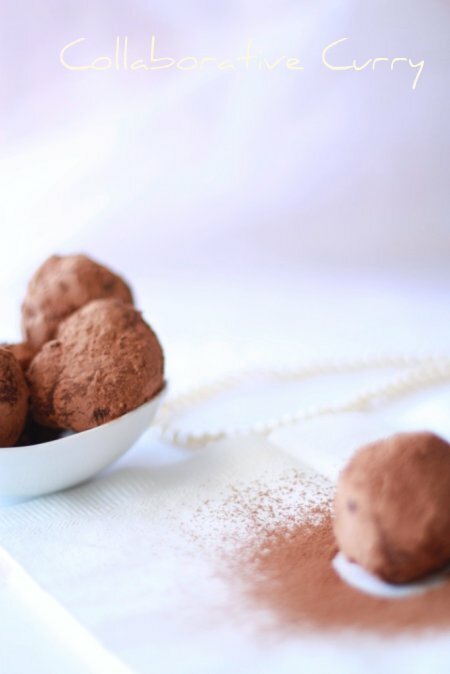 I love the look of these yummy truffles and they sound so delicious! Thank you everyone for stopping by..appreciate your support to wish Nami. The truffles look so inviting! Thank you guys !!! After my college days, I got so many people wishing me, on my birthday..thanks to Sunitha and Rohini :D Thanks buddies !! !